Prof. Muhammad Syukri Salleh adalah Profesor Manajemen dan Perencanaan Pembangunan & Direktur Centre for Islamic Development Management Studies (ISDEV), School of Social Sciences, Universiti Sains Malaysia, Penang, Malaysia. Salleh, Muhammad Syukri. (2009). Philosophical foundations of Islamic development: Khurshid Ahmad’s conception revisited. In Proceedings Langkawi Islamic Finance and Economics International Conference (LIFE2009) (pp. 119-133). 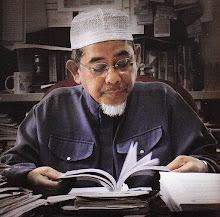 Salleh, Muhammad Syukri. (1999). Establishing an Islamic State: Ideals and Realities in the State of Kelantan, Malaysia (< Special Issue> Islam in Southeast Asia). Salleh, Muhammad Syukri. (1999). Recent trends in Islamic revivalism in Malaysia. Studia Islamika, 6(2). Salleh, Muhammad Syukri. ( (2011, December). Islamic economics Revisited: Re-contemplating unresolved structure and assumptions. In 8th International Conference on Islamic Economics and Finance (pp. 19-21). Salleh, Muhammad Syukri. (2012). Rethinking Wealth Management: An Islamic Preliminary View. International Journal of Business and Social Science, 3(13), pp. 232-236. Salleh, Muhammad Syukri, & Fatah Che Hamat, A. (1997). Equity versus growth: The Malaysian experience of the Islamic financial system under the dual systems.Humanomics, 13(3), 174-214.